CARS will be roaring and engines revving as the Keilor Rotary Club’s 8th annual Car Show comes around this May. 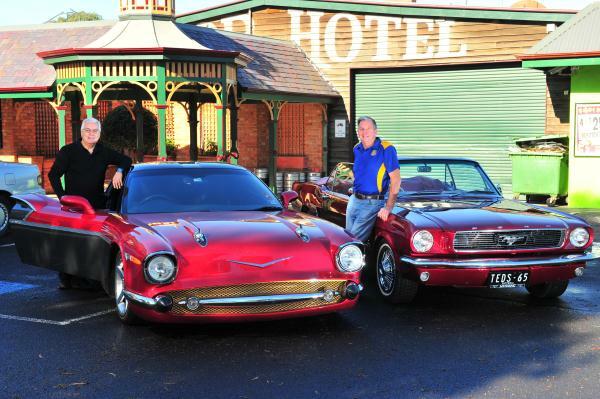 The Car Show, which will be held at the historic Keilor Hotel on 4 May, will include an array of cars and bikes as well as entertainment for the whole family. More than 200 cars were on display at last year’s show including hot rods, Classics, vintage and street cars also including over 40 motorbikes. Organiser Joe Raimondo said the event was only getting bigger and better every year and that this year was no exception. “It’s sort of become a major event in Keilor,” Mr Raimondo said. “It’s a great family day. “We get over 200 cars and motorbikes, and the motorbikes have added another aspect to it,” he said. Mr Raimondo said over 1000 spectators visited the show each year, which helped raise valuable funds to support the various Rotary projects. Funds raised in previous years have been used to buy equipment donations for the Keilor and Craigieburn SES units and upgrades to the grounds of the Keilor Pre-school among many other things. “The Car Show supports the Rotary and their cause and helps them support the local community,” Mr Raimondo said. The Car Show also features $300 cash prizes for “People’s Choice” and “Entrant’s Choice” awards. There are also other prize and trophy categories including “the best” Holden or Ford.